Essay Writing (or Ad Copy) Rule #1: Start with an attention grabbing headline. Hyperbole with an ironic twist works well. So it is with this title: pure ironic hyperbole. Unless you actually lived through it. Tax roles indicate colonial Boston-area potters were solidly middle class, and sometimes even in the upper percentages of income earners. 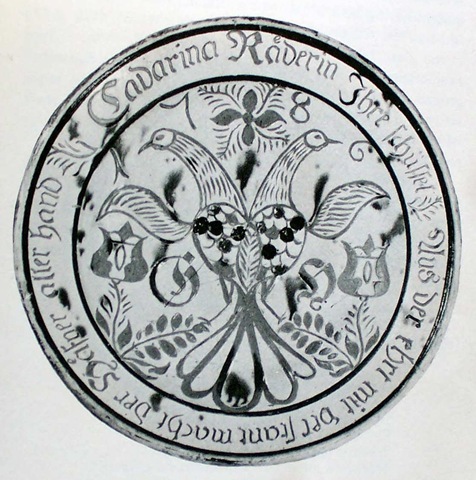 Yet after the Revolution, Quakers faded from the pottery making record. Why? The burning of Charleston by the British Navy in 1776 was a huge blow. The Quakers lost everything. They and their businesses were scattered to the hinterlands of New England. But the same troubles befell all of Charleston’s potters. Many of these others managed to continue quite well. A darker force was at work: the approbation of their neighbors during the war. Quakers held very strong beliefs about remaining aloof from temporal authority. They refused to take sides in the Revolution. Because polarization – ‘with us or agin us’ – so easily comes to dominate most conflicts, the Quakers were hated. They were persecuted. Boycotted. It isn’t that Quakers were commies, or hippies, or draft dodgers, or rebel sympathizers, or Tories. The history of Quakerism in the U.S. only serves to remind us that polarizing discussions of religion and politics really have no place in a harmless little essay about colonial pottery. Except when these issues converge to destroy the livelihoods of a group of talented, successful potters who just wanted to do their own thing. Rules for Radicals. Saul Alinski. Vintage Press/New York. 1989. A discussion about collecting delftware in 18th century Deerfield, MA titled “River Gods” might seem flirty given that religion and politics are ‘safe’ conversation topics only while lolling about on a sunny beach with close friends. But who wants to talk religion and politics on a sunny beach? “River Gods” (the Deerfield River being a major artery of travel and commerce) along with “Mansion People” was a nick-name for Deerfield’s most powerful citizens. The upper crust. The one percent. Knowing if these appellations were their idea or everybody else’s might offer telling insight into the personalities of this small group. The River Gods certainly acted the part of virtual deities. They rose to prominence during the French And Indian War when necessities of military patronage resulted in consolidated economic clout. The River Gods came to project an aura of civic righteousness. Except when it came to delftware. Delftware was a major status symbol in New England from the beginning of the French And Indian War until the Revolutionary War – precisely when the River Gods held sway. Delft chargers were popular, but delft punch bowls ruled. No 18th century social gathering, regardless of social rank, was complete without a round or two of punch, egg pop, sullibub, or other such alcoholic concoction. The River Gods favored Dutch delftware over English delftware. Maybe this was because Dutch delftware painting, being directly inspired by Italian faience, was more refined. Or maybe the Dutch allure stemmed from its unique method of dusting additional layers of glaze over the painted pots, giving an extra glossy veneer. English delftware by comparison was quirky, less refined, more playful. This was ironic because the English delftware industry was largely begun by immigrant Dutch potters. Various parliamentary Navigation Acts dictated that transactions between England’s colonies and the outside world be done via the East India Company. This assured that non-English goods (Dutch delftware) were either impossible or prohibitively expensive to acquire. But the River Gods used their own ships for business transactions in the Caribbean. They simply bypassed the East India Company and purchased Dutch pottery directly in the West Indies. In legal terms this is called customs fraud, ie: smuggling. To be a River God was to be the law. But the adage that nobody is perfect must be applied universally. Even, or perhaps especially, to River Gods. Delftware at Historic Deerfield 1600 – 1800. Amanda Lange. Historic Deerfield/Deerfield MA. 2001. Lead glazes give people the creeps. But lead was fairly easy to obtain, it was cheap, it had a wide firing range, and it offered a wonderful variety of glaze colors. Lead is actually one of the world’s greatest glaze materials – except, of course, exposure to it destroys your central nervous system. So lead glazes require further comment. 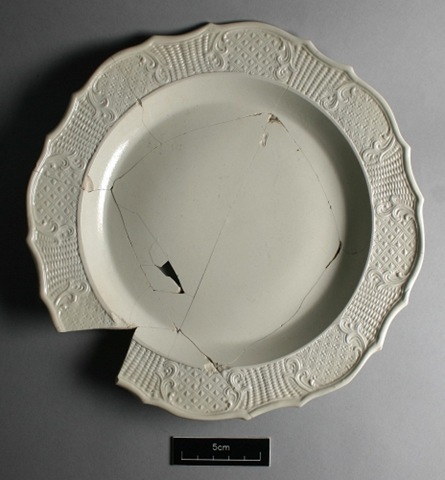 Most early American potters didn’t have access to higher firing stoneware clays, which don’t use lead glazes. It wasn’t until the early 19th century spread of canals and toll roads that shipping prices lowered enough for stoneware to blossom. A common glaze recipe in the early US had about 10 parts lead to 3 parts loam or sand. The best lead source came from sheets used to seal tea – tea chest lead – reduced to a white powder by soaking in vinegar. But most potters went to dry goods merchants who sold imported lead as a paint ingredient. People knew of lead’s toxicity by the 18th century. It was called “potter’s rot.” But end users weren’t immune. In 1783, a Connecticut doctor blamed a recent “bilius colic”epidemic on all the local lead glazed redware flooding the market during the English embargoes of the time. 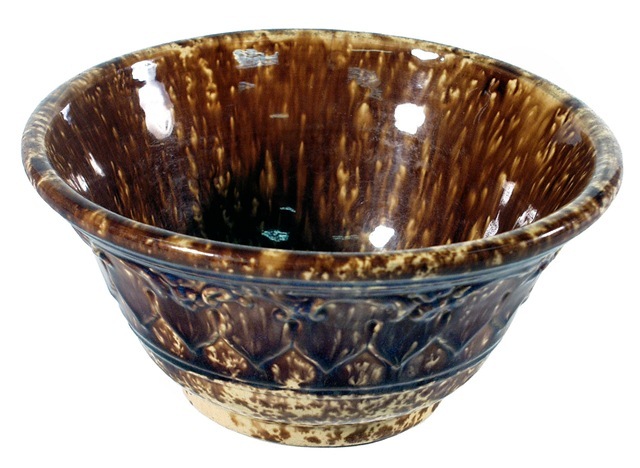 Philadelphia and New York newspapers issued challenges to develop alternative glazes. Federal and State agencies issued periodic warnings against lead use. But lead glazing persisted well into the 19th century. Why were people so obstinate? Talk long enough to most potters today and the topic of pyromania will eventually arise. But talk is cheap. 18th and 19th century redware potters were among the best at torching their shops. Urban potters could take down large neighborhood swathes as well. Especially in ports and towns along major waterways. Of course all that damage was unintentional. Every spark from barely controllable bottle kilns was a disaster waiting to happen – not to mention the health hazards of lead glazed fumes spewing across densely populated areas. And the waterfront was prime real estate for potters. Water was the cheapest way to transport heavy raw materials and bulky, fragile wares. Town fathers tolerated this situation because many potters did a fair bit of trade. And many potters were town fathers. But there were limits. Pottery was eventually zoned away from the docks and toward less populated areas. An 1838 provision in the Laws and Ordinances of the Common Council of Albany, NY, an important Hudson River transport hub, stipulated that potteries “upon any lane or street which might be deemed noxious or unwholesome shall be removed upon notice given by the Police Justice or any Alderman.” Offending potters were also fined $25. Interestingly, the last major pottery related conflagration in Charleston, MA wasn’t due to pottery making at all. Not directly, anyway. Bombardment from British warships in 1775 drove the inhabitants, particularly the dock-side potters, away. Nobody was around to put out the fires. Charleston burned to the ground. Pottery had been a major occupation in Charleston. But the potters didn’t return. The British action scattered redware production across New England. The Redcoats effectively brought pottery to the masses. The Royal Navy wasn’t aiming at potters per se. Their operation was against the Sons of Liberty. The fiery appeal of that raucous, self-ordained band of revolutionary self-determination zealots drew in many Bay area artisans, including Charleston’s potters. Much later, a similar group with similar motives burst on the scene. This new group named themselves after the Sons’ signature act on Boston’s Long Wharf during the night of December 16th, 1773. Both groups became famous for their passionate stand against entrenched oligarchs. But while one group (obliquely) disseminated pottery and democracy, the other was (quickly and quite concretely) co-opted by the highest bidder. Bunker Hill, A City, A Siege, A Revolution. Nathaniel Philbrick. Viking Press/New York. 2013. Slipped and Glazed: Regional American Redware. Brian Cullity. Heritage Plantation of Sandwich/Sandwich MA. 1991. Irish delftware production began in Belfast around 1697. Coincidentally, a large deposit of particularly well suited high lime content clay was easily accessible at nearby Carrick Fergus. This Carrick Fergus clay was so well suited to the job that most English delftware potteries imported it for their own work. Delft potters (in Holland, that is) imported clay from Norwich, England and mixed it half and half with their own deposits. But Delft prohibited exportation of it’s own clay to other places. Delftware potters of Lambeth, England saw an opportunity in the early 1700’s to cut into Belfast’s market. They hired John Bird to set up a delftware shop in Dublin. His first kiln load failed, by all accounts, in a particularly “spectacular” fashion. Given the history of kiln failures, this must have been quite a failure. John was immediately fired. John Bird had developed a special firebox design for his kilns, using coal as fuel. John promised to freely share his coal firing technology as part of his original deal with his backers. John’s patent is the first recorded use of a coal fired kiln. The technology rapidly spread throughout England and beyond. Irish delftware sales agents travelled with England’s mercenary armies, virtual mobile towns, operating in the North American colonies during the French and Indian War (aka the Seven Years War). A large number of Scottish and Irish mercenaries were drafted for the war effort. Once on American soil, these mercenaries were told to stay (England wanted them out of the way back home). The ex-pats turned to Ireland for their pottery needs when they settled into villages after the Treaties of Paris and Hubertusburg ended the war in 1763. What marketing! English & Irish Delftware. 1570 – 1840. Aileen Dawson. British Museum Press/London. 2010. Being George Washington meant dealing with a constant stream of visitors. Some were invited, many were not. Some stayed an hour, others stayed several days. A true gentleman required sufficient accouterments to properly entertain such hoards. Washington kept up appearances with the latest fashions from England – except during those years when imports from London dropped off dramatically. Washington bought hefty batches of fashionable English salt glazed white stoneware through his purchasing agent Thomas Knox in Bristol long before an independent America took top spot in the Chinese porcelain trade. One order alone was for 6 dozen “finest white stone plates,” 1 dozen “finest dishes in 6 different sizes,” 48 “patty pans” in 4 sizes, 12 butter dishes and 12 mustard pots, plus mugs, teapots, slop basins, etc. Salt glazed white stoneware appeared during the 1730’s, once the necessary materials were available. Specifically, rock salt from Cheshire (after 1670), white ball clays from Devon and Dorset (after 1720) and calcined flint. Just as this fine grained clay body came into use, so too did plaster molds. By 1740 press molded salt white stoneware was all the rage. It was cheaper than porcelain and sturdier than delft. Salt white soon toppled delftware’s predominance – and was just as quickly supplanted by creamware. Thus marked the inception of the “dinnerware set” and the quantum leap from craft pottery to factory production. Once cracks appeared in porcelain’s allure, China’s fortunes also waned. Salt white’s history is interesting, but that last comment gives pause for thought. If potters today didn’t go bubble wrap crazy when packing for UPS, how would that affect our average order size? Salt Glazed Stoneware in Early America. Janine Skerry and Suzanne Findlen Hood. University Press of New England/Hanover, NH. 2009. Abraham Mead eventually took over the shop. Being in a port city, Mead, like Staats before him, was able to thrive by shipping his wares far and wide along the coast in his own barges. But being in a port city also meant that business ground to a halt during the blockade years of the Revolutionary War. Afterward, Mead picked up the pieces and kept the shop going. The only question is, was this Deacon-hood bestowed before or after the mortgage settlement? You are currently browsing the archives for the Revolutionary War category.